God Almighty wrote His Rescue Plan for all mankind into His Seven Feast days. The word used for Feast in Leviticus 23 is Moed, and literally means appointments. These Feast Days are God’s appointments with mankind, and they are fulfilled by Jesus Christ. Because of mankind’s sin in the Garden of Eden, we have been separated from God ever since. However, God Almighty, Elohim, had a plan to bring mankind back into a relationship with Himself, as revealed even to Adam and Eve in the Garden of Eden when God told Eve that the serpent would “bruise the heel of her “seed” (Descendant), but that her seed (descendant) would CRUSH the head of the serpent. God’s Holy Days are God’ appointments with mankind, and they literally map out God’s Rescue plan. These are NOT Church Holidays (Christmas, Easter, etc)! These are God’s Holy Days as detailed in Leviticus 23. The Jewish people continue to celebrate these Feasts (Holy Days) year after year; however, they do not yet recognize that Jesus is the fulfillment! This will change when Jesus returns. We’ll discuss that later. Sadly, the mainstream Church barely recognizes these Feast Days, and for the most part, misses their significance for Christians and for all people. Though the Church does celebrate Easter as the Resurrection, they miss the connection with Passover and the “Jewish Feasts” (God’s appointments with mankind). This is probably because the Church has mixed paganism in with Holy Days, making it much more difficult to see the truth. The first feast (appointment) that was fulfilled was the Feast of Passover, when God Himself came down to earth in the likeness of human flesh. Jesus took upon Himself the sins of all mankind (Isaiah 53), and died on the day of Passover, the 14th of Nisan (Jewish Calendar day). This day always falls in the Spring, around March or April. Jesus WAS the Passover Lamb of God who takes away the sin of the world! The second Feast to be fulfilled was Firstfruits, when Jesus rose three days and 3 nights later, fulfilling the Feast of Firstfruits to act as the Wave Sheaf Offering. Jesus is the FIRST FRUIT of the harvest. This Wave Sheaf was also known as the Omer. In the wave sheaf offering, the wave sheaf would be waved before the Lord by the Priest. Once the Wave Sheaf was accepted by the Lord, the entire harvest would be accepted. This was the signal that the grains from the new Harvest would be acceptable by the Lord to eat. If Jesus is the Firstfruit, then we are the Harvest! The third Feast to be fulfilled is the Feast of Shavuot (Pentecost). This Feast was always fifty days after the Feast of Firstfruits. In Judaism, this fifty day count is called “the counting of the Omer”. This originated at the time the Israelites made their exodus out of ancient Egypt, when they were told by Moses that 49 days later (on the 50th day), they would receive the Torah (Ten Commandments/Law). This is exactly how it happened, on the fiftieth day after the Hebrew made their exodus out of Egypt, Moses went up a mountain and received the ten commandments written by the Finger of God. This was the start of the Torah (God’s Law). God chose the Hebrew people, from all the nations of the earth, to receive His ten Commandments, His Law, and later, to be the people chosen to bring forth the Messiah, God’s Son, Yeshua (Jesus). Each year, the Jewish people celebrate Shavuot, the day that they received the Torah. You might be wondering, okay, how did Jesus fulfill this feast (appointment) with mankind? After Jesus rose from the Dead, He met with His twelve Disciples at least three times over a period of forty days. On the fortieth day, Jesus said goodbye to His Disciples as He instructed them it was time for them to deliver the Gospel to Judea, Samaria, and to the ends of the earth. The Gospel is the Good News that the Messiah, Jesus, has come to take away the sin of the world and rescue mankind from certain spiritual death. On the fortieth day, Jesus ascended to the Father to be seated at His Right Hand in Heaven. After the Ascension, Jesus no longer presented Himself visibly to His Disciples. But, did He leave them “on their own” to complete the difficult and dangerous task of spreading the Gospel? No. Prior to His Ascension, Jesus told His Disciples that they were to wait in Jerusalem while He would send them “the helper“. At this time, the Jewish elite and Roman Guards were still searching for the followers of Jesus, to imprison them or kill them. Remember, Jesus had been crucified just a little over a month earlier, and the Jewish leadership wanted Jesus’ Disciples killed too. Jesus threatened their power structure, so they wanted His very Name wiped out. They DID NOT want anybody teaching or preaching the Name of Jesus! As instructed by Jesus, the Disciples went back to Jerusalem, but remained in hiding, waiting for this unknown “helper”. On the day of Shavuot, the day the Jews celebrated the receiving of the Torah by Moses, the twelve Jewish Disciples were gathered together in Jerusalem. On that day, they had a supernatural experience, as they received the “Former Rains”, the outpouring of the Holy Spirit. At this time, they literally saw tongues of fire over their heads, a great wind blew in, and they began speaking in foreign tongues. The Holy Spirit came over them in dramatic fashion!! This was Jesus’ Holy Spirit, poured out for them after the Crushing He experienced at the cross 50 days earlier. This was the FULFILLMENT of Joel 2 and the promised Helper!! The Disciples were amazed! They came out of the building where they had been hiding, empowered, emboldened, and preaching the Name of Jesus in POWER. Over 3000 people came to Jesus that day! 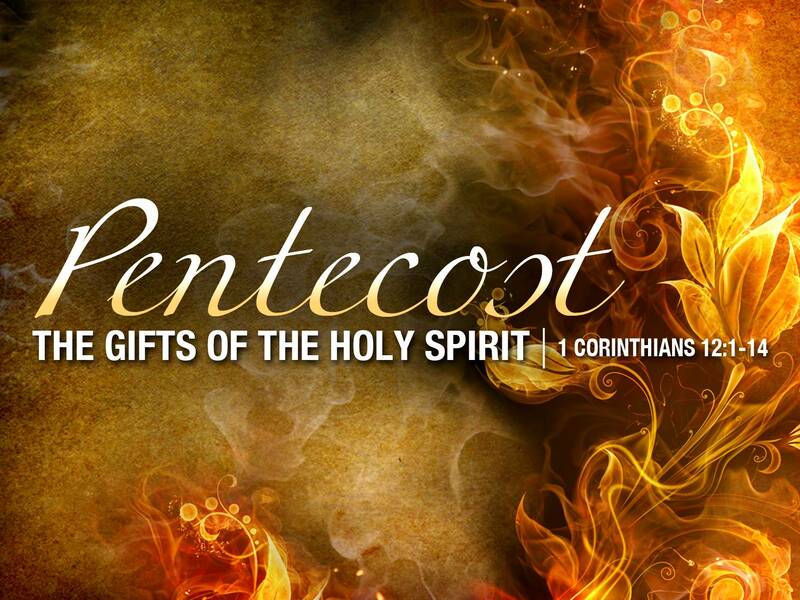 God’s Holy Spirit STILL lives inside each Believer today, just as He did 2000 years ago! Though we may not receive the Holy Spirit with the same powerful exterior manifestations as the Disciples did 2000 years ago, Jesus’ Spirit is still indwelling all believers, guiding them, teaching them, and aiding them in their pursuit of the Truth! Jesus IS the Truth!